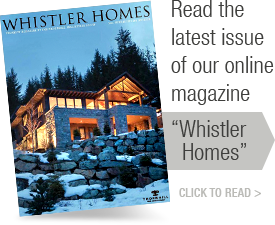 A large percentage of our Whistler home buyers and investors live around the world. A real estate purchase by a non-resident can be simple and stress-free by using the services of a Canadian accountant or lawyer specializing in British Columbia real estate. Canadian income tax legislation requires non-residents to pay 25 per cent of gross rental income to Canadian taxation authorities as security for actual taxes due. Purchasers can frequently obtain an exemption from this requirement by formally filing a budget: property rental managers usually assist with this. It's important to file annual income tax returns in order to retain the exemption. Non-resident corporations need to provide extra documentation to satisfy land registration requirements. For instance, if the corporation is going to carry on commercial activity (rent property on a nightly basis), then the corporation will have to be extra-provincially registered in B.C. If it is a one-time purchase and the corporation does not do business in B.C., the corporation will only have to file a certificate of incorporation, certificate of good standing and affidavit of no commercial activity. Extra-provincial registration is more involved. Both procedures take time and completion dates should reflect this. Original documentation is required from the home jurisdiction's authority over corporations. 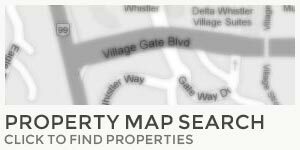 Our affiliate mortgage brokers are a valuable resource for non-residents investing in Whistler real estate. Visit www.garibaldimortgage.com and click on Buyers. The majority of tax-related issues relating to non-residents arise when a non-resident is selling a property. For more information, visit the section on "Selling" and "Non-residents."